Mixed results in Lok Sabha? TRS lead is very much visible in Assembly constituencies. It may get 60-65 constituencies, Congress may finish at 30-35..TDP combine 10-15. People preferred TRS for Assembly and crossed to others for Lok Sabha in many constituencies. Increase in poll percentage is in favour of TRS and BJP in broad perspective. Even Lok Satta also benefitted in twin cities. 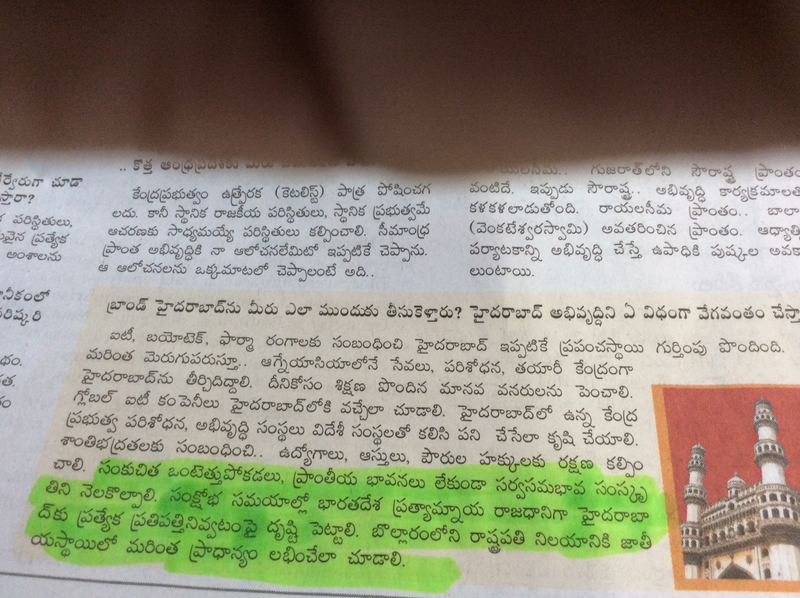 Lok Sabha seats may be distributed between TRS, Congress and BJP….even a seat for YCP…. Heavy cross voting is seen. Modi impact is felt in Secunderabad, Mahaboobnagar, Karimnagar and Nizamabad… Modi could able to convince people in some Lok Sabha constituencies, but not assembly constituencies. బాబు హయంలో గుంటూరుతో సహా ఆరు నగరాల్లో పేలుళ్లు జరిగాయి. బాబు హయాంలోనే అలిపిరిలో బాబు కారుకింద మందుపాతర పేలింది. బాబు హయాంలోనే అప్పటి హోం మంత్రి మాధవ రెడ్డిని మందుపాతర పేల్చి చంపారు. బాబు హయాంలోనే కాల్దరిలో రైతులపై కాల్పులు జరిపి ఒకరిని బలిగొన్నారు. బాబు హయాంలోనే బషీర్ బాగ్ లో విద్యుత్ ఉద్యమకారులపై కాల్పులు జరిపి ముగ్గురిని చంపారు. బాబు హయాంలోనే ఉమేష్ చంద్ర ఐపిఎస్ ను నక్సల్స్ కాల్చి చంపారు. బాబు హయాంలోనే సినీ తార ప్రత్యుషను దారుణంగా హత్య చేశారు. బాబు హయాంలోనే 15000 మంది రైతులు ఆత్మ హత్యలు చేసుకున్నారు. బాబు హయాంలోనే చెతికి దొరికిన ముగ్గురు నక్సల్ నేతలను బూటకపు ఎన్కౌంటర్లో కాల్చి చంపారు. చంద్రబాబు, రామోజీరావు మరచిపోవచ్చు, మురిసిపోవచ్చు కానీ చరిత్ర మహా చెడ్డది చెరిగిపోదు. Author kattashekarPosted on April 30, 2014 April 30, 2014 Categories Political Commentary2 Comments on బాబు హయాంలో రాష్ట్రం భద్రలోకమేనా? Palampur: Campaigning in Palampur, the Himachal Pradesh hometown of Kargil martyr Vikram Batra today, Narendra Modi borrowed his famous catch-phrase to ask for votes: “Yeh Dil Maange More!” At his next election rally in the state, he did that again. Captain Batra’s family was not impressed. His mother, Kamal Kanta Batra, the Aam Aadmi Party candidate from neighboring Hamirpur, has accused the BJP’s prime ministerial candidate of being a “pseudo patriot” and has challenged him to a debate on the welfare of soldiers. 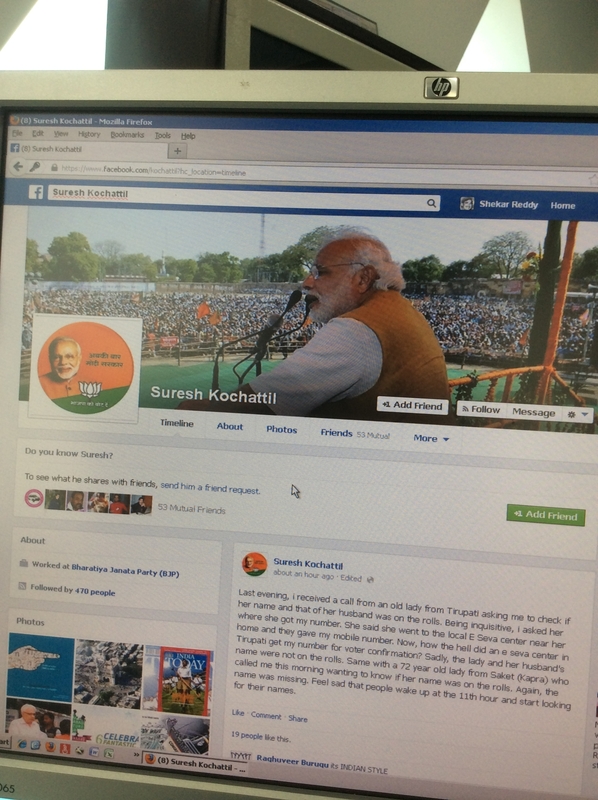 “Modi was in charge of the BJP in Himachal during the Kargil war. He was in Palampur when Vikram died. Why didn’t he visit us or any martyrs family then. Why remember us after 15 years?” she said. 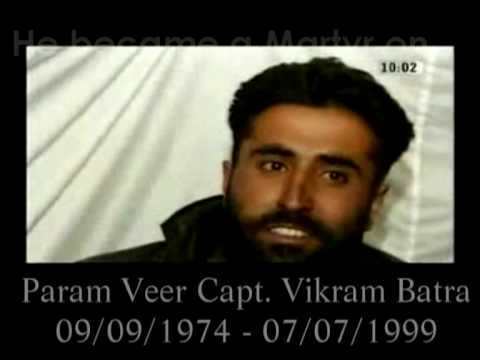 Captain Vikram Batra immortalised the words “Yeh dil maange more,” the catch-line from an ad campaign, in an interview to NDTV before he died fighting the 1999 Kargil war. He was 24. “Where will more Vikram Batras come from?” he asked, accusing the Congress of betraying India’s soldiers. In Hamirpur, known for its large concentration of ex-servicemen and serving soldiers, Mrs Batra’s BJP opponent is prominent MP Anurag Thakur, a former chief minister’s son. It’s the first election the 66-year-old school teacher is contesting. Captain Batra was posthumously awarded the Param Vir Chakra, India’s highest war-time gallantry award. హైదరాబాద్‌ను సెమీ యూనియన్ టెరిటరీ చేసే కుట్ర? hyderabadహైదరాబాద్‌ను సెమీయూనియన్ టెరిటరీగా చేసి దేశానికి ప్రత్యామ్నాయ రాజధానిగా ప్రకటించేందుకు బీజేపీ ప్రధాని అభ్యర్థి నరేంద్ర మోడీ, చంద్రబాబు నాయుడు, వెంకయ్యనాయుడు, జయప్రకాశ్ నాయుడులతో కలిసి కుట్ర చేస్తున్నారని తెలంగాణవాదులు ఆగ్రహం వ్యక్తం చేస్తున్నారు. ఈ అంశంపై మే 1 సాయంత్రం తిరుపతిలో జరిగే బహిరంగసభలో మోడీ ప్రకటిస్తారని బీజేపీ ప్రచారవ్యూహంలో పాలుపంచుకుంటున్న ఒక నాయకుడు ఇప్పటికే ఫేస్‌బుక్ పోస్ట్ ద్వారా తెలియజేశాడు. సీమాంధ్రలో ఓట్లు కొల్లగొట్టే వ్యూహంలో భాగంగా తెలంగాణలో పోలింగ్ పూర్తికాగానే ఈ ప్రకటన చేసేందుకు సన్నద్ధమవుతున్నారు. వాస్తవానికి పార్లమెంటులో బిల్లుకు ముందే చంద్రబాబునాయుడు, జయప్రకాశ్‌నారాయణ్, కాంగ్రెస్‌లోని ఒక బలమైన సామాజికవర్గం కలిసి హైదరాబాద్‌ను కేంద్రపాలితప్రాంతం చేయాలని పెద్దెత్తున కాంగ్రెస్‌పై ఒత్తిడి తెచ్చారు. చంద్రబాబు కాలికి బలపం కట్టుకుని ఒకేరోజులో చెన్నై, కోల్‌కతా, లక్నో, ముంబయి, అహ్మదాబాద్, చండీగఢ్ తిరిగి బిల్లుకు వ్యతిరేకంగా లాబీయింగ్ చేశాడు. అన్నిపార్టీలలోని ఇదే సామాజికవర్గం హైదరాబాద్‌ను కేంద్రపాలితప్రాంతం చేయాలని కాంగ్రెస్‌పై ఒత్తిడి తెచ్చి విఫలమైన తరువాతనే మోడీని ఆశ్రయించారని రాజకీయవర్గాలు కోడైకూస్తున్నాయి. జయప్రకాశ్‌నారాయణ్ కొద్దిమాసాల క్రితం వరుసగా మూడుసార్లు అహ్మదాబాద్ సందర్శించి, మోడీతో ఇదే అంశంపై చర్చించారని విశ్వసనీయ వర్గాలు తెలిపాయి. గత నెలరోజులుగా జరుగుతున్న పరిణామాలు కూడా ఇవే సంకేతాలను అందిస్తున్నాయి. ఆశ్చర్యకరంగా అన్ని పార్టీలోని ఈ సామాజికవర్గానికి చెందిన నాయకులు ఇటు బిజెపి వెనుకనో, అటు టిడిపి వెనుకనో చేరిపోవడం కళ్లముందు జరుగుతున్న విషయమే. చివరికి కావూరి సాంబశివరావు కూడా కాషాయజెండా మోయడానికి సిద్ధమయ్యాడు. ఈ ఐక్యత వెనుక హైదరాబాద్‌పై తిరిగి ఆధిపత్యం సంపాదించే దుర్బుద్ధి ఉందని తెలంగాణవాదులు ఆందోళన చెందుతున్నారు. టిఆర్‌ఎస్ తెలంగాణలో అధికారం చేజిక్కించుకునే అవకాశం నానాటికి ఎక్కువవుతుండటం ఇప్పటికే పలు సర్వేల ద్వారా గమనించిన ఈ బందం ఈ కుట్రకు మరింత వేగం పెంచారు. ఈ అనుమానాలను బలపరుస్తూ, మోడీ కూడా హైదరాబాద్‌కు ప్రత్యేక హోదా గురించి, హైదరాబాద్‌లో భద్రత గురించి పదేపదే మాట్లాడుతున్నారు. తెలంగాణలో ఎన్నికలు పూర్తికాగానే తమ మనసులోని మాటలని మరింత బాహాటంగా ప్రకటిస్తారని భావిస్తున్నారు. Author kattashekarPosted on April 29, 2014 Categories Political Commentary3 Comments on హైదరాబాద్‌ను సెమీ యూనియన్ టెరిటరీ చేసే కుట్ర? Hyderabad: As election campaigning ended in Telangana, which in June will become India’s newest and 29th state, the regional political party Telangana Rashtra Samiti (TRS) and the Congress seem to be firmly entrenched in a battle to cash in on statehood sentiment in the Lok Sabha and state assembly elections due on 30 April. Led by K. Chandrasekhara Rao, popularly known as KCR, the TRS seems to be having an edge over the Congress in the elections, and is likely to end up with a few more seats than its rival. In the best-case scenario, analysts pointed out, the TRS may manage to scrape through with a simple majority. Or the new state could witness a hung assembly. If the TRS manages to put up a good show, it could sorely disappoint the ruling Congress party that proactively divided the Telugu-speaking state of Andhra Pradesh, sidelining the concerns of parties that wanted to keep it united, with an eye on garnering the maximum number of seats in the forthcoming elections from Telangana. Telangana will send 17 members to the Lok Sabha and elect 119 legislators to the state assembly, which will be divided into legislatures representing the new state and Seemandhra, as the state comprising the coastal Andhra and Rayalaseema regions will together be known. The TRS backtracked on a promise to merge with the Congress if Telangana was created, leading to an intense political rivalry between the two parties in the run-up to the elections. But the TRS seems to be having the edge, going by turnout and response at election rallies. “Right now the wave is in favour of the TRS because KCR has successfully projected that the purpose of creation of Telangana was achieved by the TRS,” K. Srinivasulu, dean of the School of Social Sciences at Osmania University, said. Public meetings of Congress president Sonia Gandhi and vice-president Rahul Gandhi failed to elicit the kind of response the party’s leaders would have hoped for. The turnout was not on expected lines, and the crowd response was discouraging for an address by the country’s top political family. Hyderabad: In a region which is going to be India’s newest state, it is K Chandhashekhar Rao versus the rest. Even though there is a multi-cornered contest across in all the 17 Lok Sabha seats and 119 Assembly seats, the main fight is between KCR and the rest. The ruling Congress is seeking votes for fulfilling the promise of a separate state. The TRS led by K Chandrashekhar Rao is hoping that the people will vote for its 13 year long spirited fight for Telangana state. Even his opponents agree that KCR is the most popular face and the people associate statehood with him. A powerful orator and a shrewd political gambler, KCR is contesting on his own hoping to rule the state, which he calls his own. KCR is a very charismatic personality and he has campaigned extensively across Telangana. 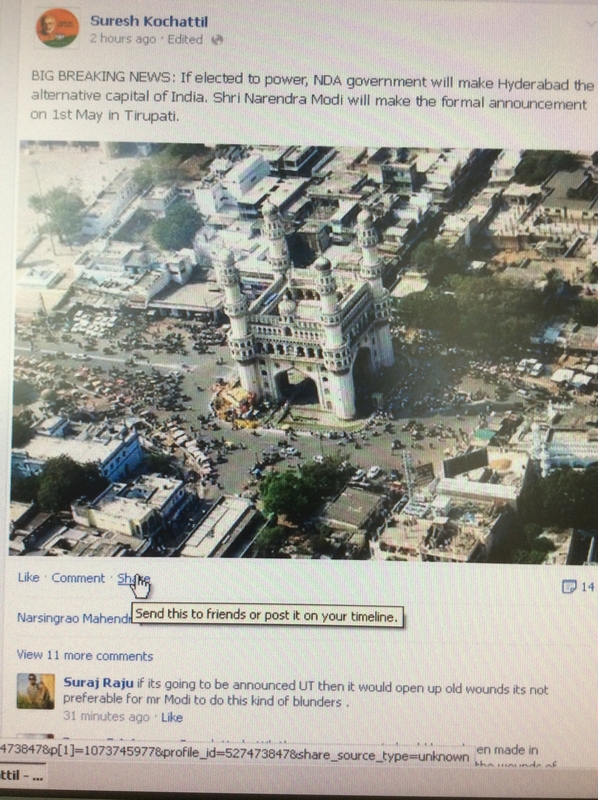 According to a senior journalist in Hyderabad, the people of Telangana are facing a big dilemma. They now have to choose between their head and heart. If the heart says vote the TRS, the head says the Congress. The TRS led by K Chandrashekhar Rao is hoping that the people will vote for its 13 year long spirited fight for Telangana state. The TRS lacks organisational structure across Telangana. The Congress has a well oiled structure and booth level workers. The TRS may have to struggle to translate people’s goodwill into votes. 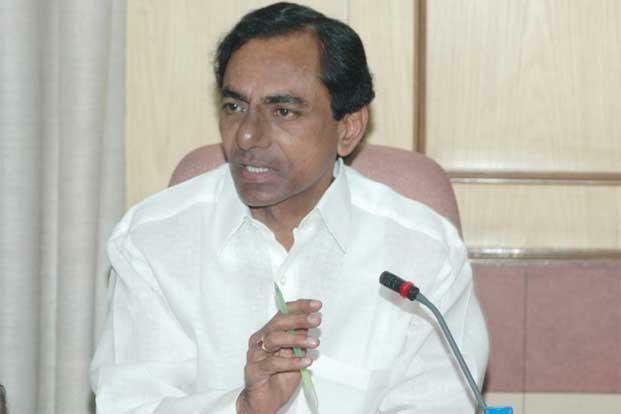 KCR is contesting in both the Lok Sabha and Assembly election. He is contesting from Medak Lok Sabha seat and Gajwel Assembly seat in the same district. His nephew T Harish Rao is contesting from Siddipet in Medak district. KCR’s daughter K Kavitha is making her electoral debut from Nizamabad Lok Sabha seat. She is taking on the sitting MP Madhu Yakshi Goud of the Congress. KCR’s son KT Ramarao is seeking re-election from Sircilla assembly seat in Karimnagar district. These things have led to criticism that KCR is turning the state into a family business. KCR has fielded a super rich candidate Dr Konda Vishweshwar Reddy from Chevella. He is the grandson of legendary Telangana leader Ranga Reddy and the nephew of former chief minister Dr M Chenna Reddy. He is facing former Andhra Pradesh home minister Sabita Indra Reddy’s son Karthik Reddy of the Congress. Veteran Congress leader S Jaipala Reddy is now contesting from Mahboobnagar Lok Sabha seat vacated by KCR. The Congress has once again fielded its union ministers Balram Naik and Survey Sathyanarayana. 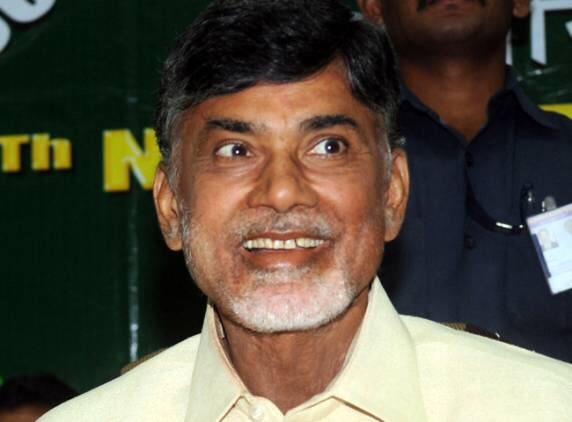 The BJP-TDP alliance is hoping to win 1-2 seats from Telangana. It has fielded a veteran Nagam Janardhana Reddy from Mahboobnagar and former union minister Bandaru Dattathreya from Secundarabad. The MIM chief Asaduddin Owaisi is seeking re-election from Hyderabad, whose 65 per cent voters are Muslims. 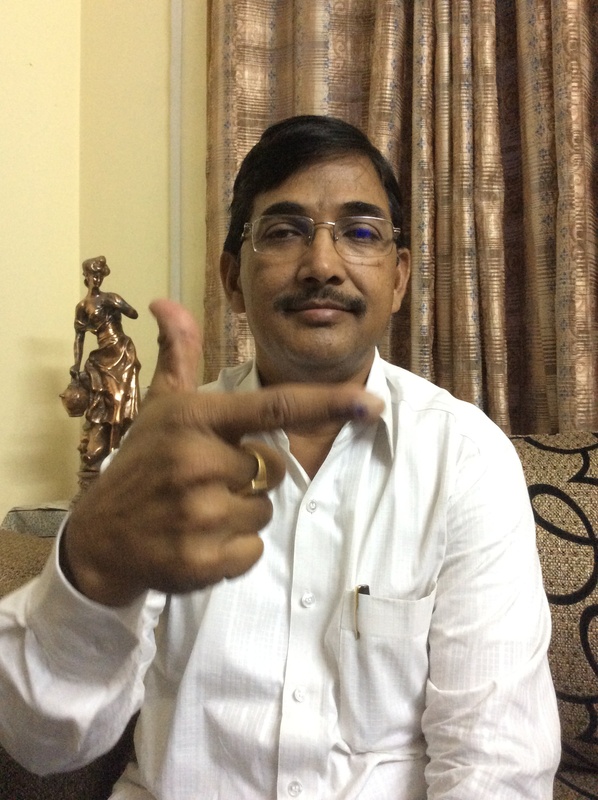 The YSRCP has fielded retired DGP of Andhra Pradesh V Dinesh Reddy from Malkajgiri Lok Sabha seat, which is the largest seat in India voter-wise. 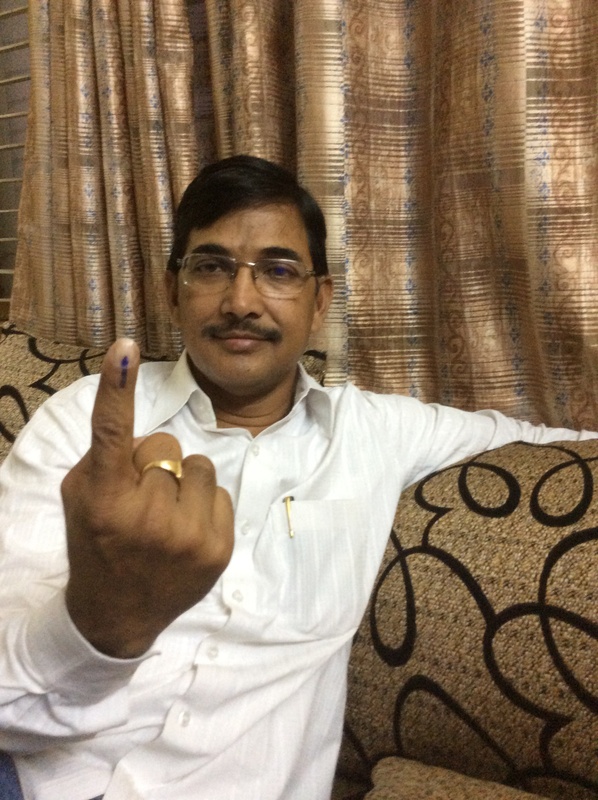 Malkajgiri has almost 30 lakh voters. The TRS is considered quiet strong in northern districts of Adilabad, Nizamabad, Karimnagar, Warangal and also in Medak in the western parts. But, the Congress has a good presence all over Telangana. The KCR is attacking both the Congress and the TDP. He called the TDP chief Chandrababu Naidu, an Andhrawala who has no business to live in Telangana, forget contesting from there. The Congress has taken the battle for Telangana very seriously. Sonia Gandhi, Rahul Gandhi and even the Prime Minister Dr. Manmohan Singh have campaigned in Telangana. The BJP’s PM nominee Narendra Modi has also addressed four public meetings in Telangana. The TDP-BJP and the YSRCP are fighting for the third and fourth place. 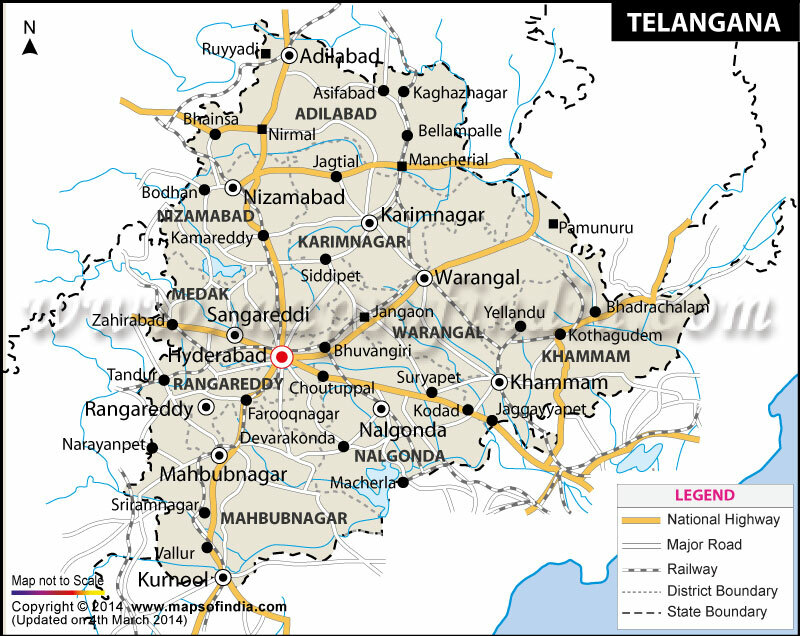 Telangana is voting on April 30 and the new state will officially come into existence on June 2.